Courtney Hintz is based at KDTS, Destin Executive Airport, Destin, Florida. I am currently a flight surgeon in the US Air Force, stationed at Hurlburt Field, FL. I was hooked on flying as soon as I took off with my instructor for our first flight lesson in a Piper Cherokee 2 years ago. After my residency in internal medicine, I decided to become a flight surgeon so I could combine my two passions of flying and medicine. I fly as much as I can in my free time, and am working on my tailwheel endorsement now. I also love aerobatics! 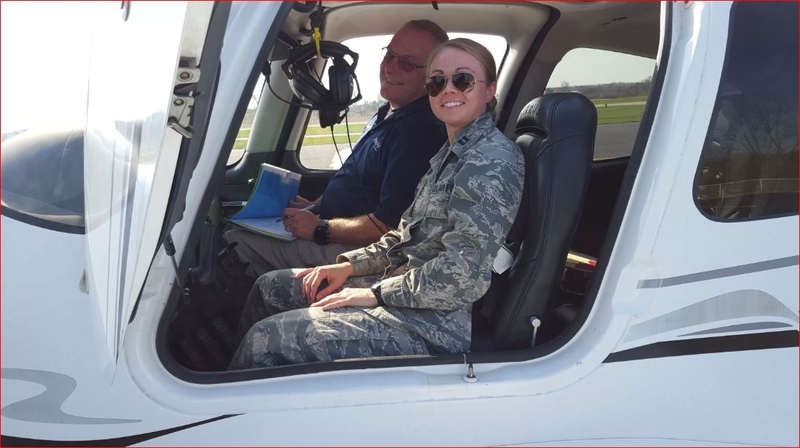 When I’m not in a general aviation aircraft, I enjoy the opportunity to fly in all kinds of military planes – and the Air Force pays me for it! Dream Taildragger: Super Decathlon – aerobatics! I am local guy who lives near Destin and I have been searching for someone to teach me to fly a taildragger. I have never flow before, but I am very dedicated to this. My plan is to buy the new Carbon Crafters XCub. I really would appreciate any help at all if you know of a Taildragger Instructor in our area? I have yet to find anyone. Please feel free to text or email if you can help at all!